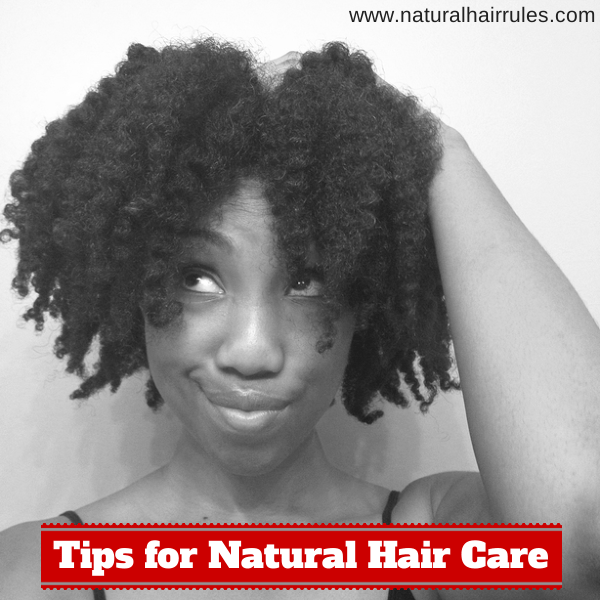 3 Important Things You Should Know About Natural Hair Care | Natural Hair Rules!!! Once upon a time, there were no natural hair care blogs. If you wanted to go natural, you were pretty much on your own. Today, there is a wealth of information on the web on natural hair care. But for a newbie, it can be overwhelming. Downright confusing. I’ve lost count of the amount of times women have contacted me because they didn’t know where to start going natural. This post is dedicated to all of them… and to all of you. If you are not sure where to start, here are three important tips for natural hair care beginners. Healthy hair begins with a healthy scalp. And of course, clean hair follows suit. HOW you choose to keep your scalp and hair clean is totally up to you. Your hair cleansing method is dependent upon a few factors: hair type (density, porosity, curl type) and personal ideologies. ith research and trial & error, you will find a wash routine that works best for you. But no matter your method, the key is to make sure that your scalp and hair have a healthy environment to thrive. As you try new methods, pay attention to how your scalp and hair react, then adjust your regimen accordingly. If you hair is dry and brittle (inelastic), it will break. If your hair is too limp (too elastic), it will break. Essentially, if you hair falls too far on either side of the spectrum, it will break; basically you need balance. Protein gives your hair structure… and strength. Depending upon your hair’s structure, you may need more or less protein in your hair regimen. The proper moisture/protein balance is different for everyone. So it’s important to assess your hair as you develop a regimen. When growing natural hair, it’s important to protect your strands — especially your ends. Maintaining a proper moisture/protein balance equips your hair so that it can withstand the elements. To further protect your hair, it is important to limit manipulation of your hair. You should also be mindful of mechanical damage and heat damage. Once again, HOW you choose to protect your hair is up to you. (Notice a pattern?) The protective measures you take will be dependent upon the thickness of your hair strand (fine, normal, course), your lifestyle, and personal preferences. Protective style options include: weaves, wigs, twists, braids, buns and up-dos. In summary, a healthy hair care regimen require a clean and healthy scalp, a proper moisture/protein balance, and sufficient hair protection. That’s it. The HOW is the hard part. As you peruse this site you should search for solutions that fit with your hair type, lifestyle, and ideologies; THAT is how you develop a hair regimen. You don’t have to find all the natural hair care answers today; You can take your time, assess and reassess, tweak and re-tweak, until you finally find a regimen that works for you.